Join No Unwanted Pets for a very special Spay-Ghetti Dinner! 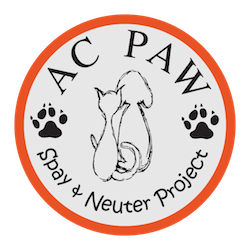 This is a spay and neuter fundraiser to help stop the pain and suffering caused by the over-population of dogs and cats in the Grand Traverse area. COST: Dinner is a $12.00 per person donation. Children under 5 eat free! DINNER: Dinner includes spaghetti, salad, garlic bread, and dessert. DONATIONS: We greatly appreciate donated items for our silent auction. We are a tax deductible 501(c)3 non-profit organization. QUESTIONS? Please call June at 231-499-1932.